There were two masterclasses on The Whisky Show Trade Day and while they both looked appealing time only permitted a visit to one of them. 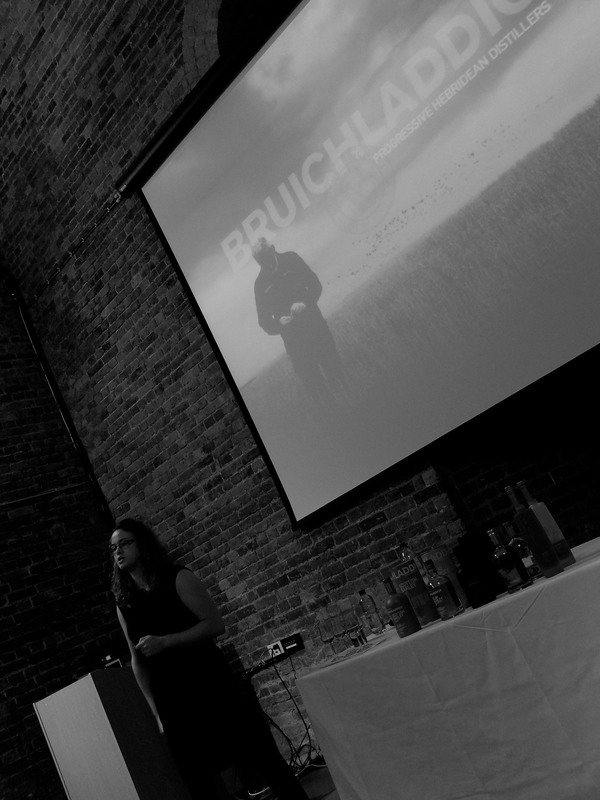 If you’ve been following our recent posts on the blog you’ll know that we are very partial to Bruichladdich so I was swayed by the opportunity to attend a Bruicladdich masterclass hosted by the delightful Illeach Joanne Brown. 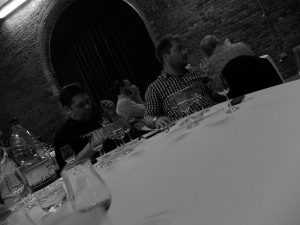 And if that wasn’t enough, the class contained two new expressions of Hebridean whisky. Here’s what we tasted. The definitive or house style Bruichladdich dram made with barley grown in the North East of Scotland. Nose: Light and grassy. The barley is really prominent among notes of hay and butter. Palate: Full of vanilla and icing sugar with a spicy twist. Reminds me of summer meadows with sweet honey flavours emerging from hints of pepper and liquorice. Finish: For such a light dram this had quite a dark and deep finish, tempered slightly by a salty sensation at the back of the mouth. 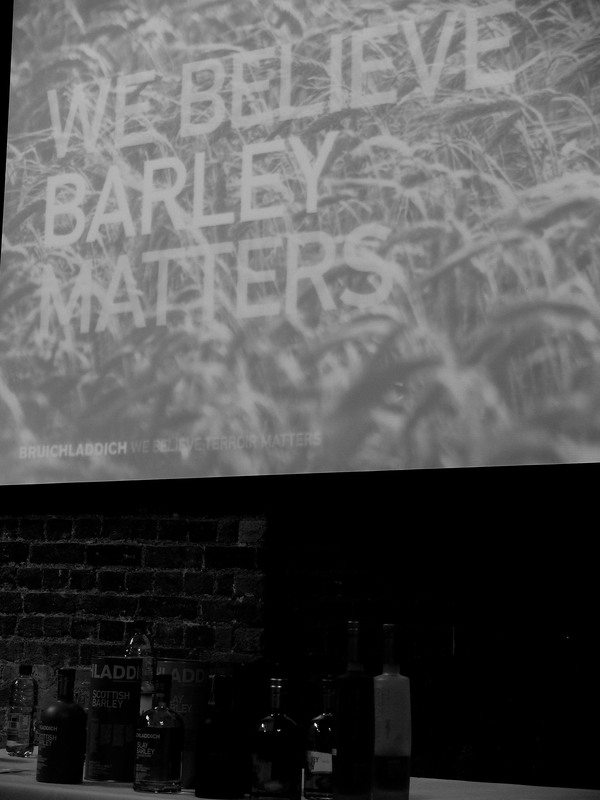 Islay whisky with Islay Barley. It doesn’t get more local that that. I love the authenticity behind Bruichladdich and still like the fact that the whisky has only left the island once it has been bottled. It does feel like your taking a little bit of Islay home with you. This particular expression is distilled with barley grown on Rockside Farm. Nose: Heather, creamy and zesty. This is a real summer whisky. I was initially confused by the appearance of a touch of smoke in the spirit but Joanne explained that while unpeated, the smoke could infact come from the Buffalo Trace barrels that the whisky matured in. Palate: Thick and creamy. Rich vanilla ice cream. Lemon peel and oranges. Created by Jim McEwan and matured in 6 different types of casks. It is always a pleasure to taste this whisky. Nose: Toffee, treacle, rich mahogany wood and a touch of smoke. Palate, Cocoa, chocolate orange, rich and dark. A whisky you could savour for hours and still find something new. Finish: Spicy and rich with a chocolate kick. The next two whiskies were something of an exclusive. 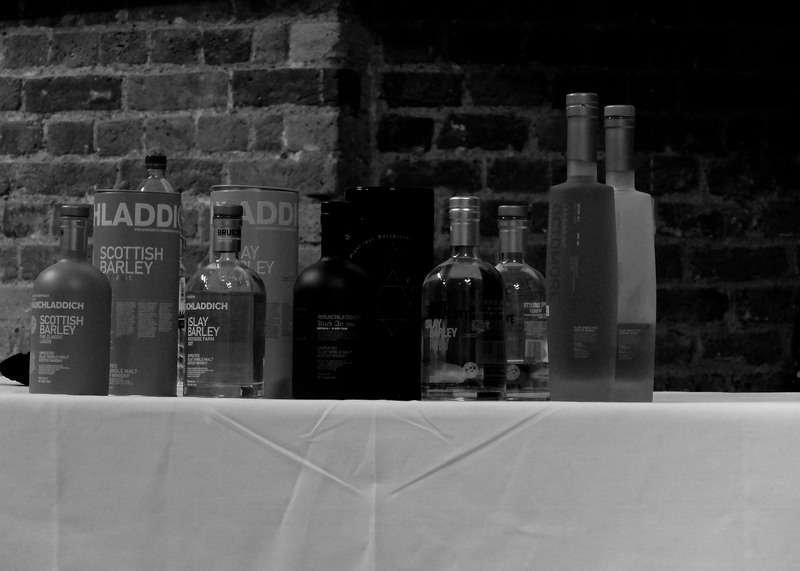 We were to be the first people in the UK, outside of the distillery, to taste them. The whiskies were the medium peated Port Charlotte Islay Barley, and the heavily peated Octomore Islay Barley. These are exciting spirits, all that is central and core to Bruichladdich is now manifesting itself in the iconic Port Charlotte and Octomore releases. This releases dates from 2008 and is 6 years old. It it peated to 40ppm and contains barley from six Islay farms. It is expected to retail for around £55 and in my opinion that is a very fair price. I will be buying a bottle. Nose: A combination of salt, peat and spice. The barley comes through strongly, as do some apple and nutty notes. Palate: Very light and fragrant. 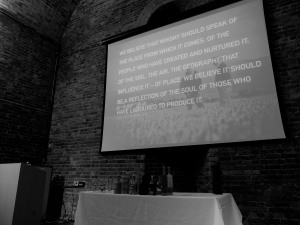 The peat takes hold and explodes in the mouth leaving a salty and liquorice taste that coats the gums. Finish: Huge. A sweet and smoky dram that clings for hours. The ultimate Octomore experience. This whisky is made from barley grown on Octomore farm (by James Brown – Joanne’s uncle) and cut ever so slightly with Octomore Spring water to bring it down to 64%. The only thing we could have done to finish the Octomore experience would be to take a dram to the farm and sample it there. Now there is an idea for my Feis visit in 2015. The whisky itself is 5 years old and peated to an eye watering 258ppm. Nose: The first thing that springs to mind is that the whisky isn’t overly peaty. It is much more creamy chocolate and smoked fish than full on peat. I like that, you don’t feel that you are sniffing a peat brick, but are instead interacting with something a lot more complex and subtle. Palate: Big. This is where the peat hits you. Full on abrasive old school peat, wrapped up in a meaty ham hock and barbecued fish. This is a real Islay beach barbecue of a whisky – complex, charred and smoky. Brilliant. Finish: Long. If you thought the Port Charlotte was long then this will blow you away. Brora Brora on the wall, who's the fairest of them all?